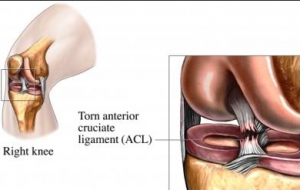 ACL Reconstruction - To Use Autograft or Allograft? An ACL tear, known as an Anterior Cruciate Ligament tear, can be devastating to a promising athlete. The healing process is nonexistent with conservative treatments, as the ligament has a very poor blood supply. Thanks to modern medicine, reconstruction is possible with either autograft or allograft tissue, both of which work to reconstruct and replace the damaged ligament. The word autograft means the tissue comes from the patient. This can be from the patient’s own patellar tendon or taken from a hamstring tendon. An allograft means the tissue comes from a cadaver, and is sterilized and checked for the presence of diseases or infection. Autograft or Allograft: Which Is Better? When it comes to these two medical options, patients are often at a crossroads on which to use. In order to identify which is best, we need to begin by explaining what each option entails and we will be looking at the tissue harvesting in both as well as their advantages and risks. Autograft has proven to very beneficial in ACL reconstruction. Autograft tissue is harvested from the patient and this is mainly sourced from the patient’s patellar tendon or from a hamstring. 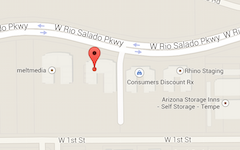 Both of these areas do not suffer harm by having the tissue used. 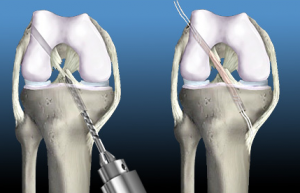 Autograft is increasingly being regarded as the gold standard for ACL reconstruction and this is because it produces fantastic results. There is no risk of rejection since the tissue is from the patient. The harvesting of the tissue increases surgical time a bit and the length of the incision. Comparisons between autograft and allograft have not shown a clear winner, so both remain very popular. On the other hand, allograft tissue is sourced from a cadaver in a tissue bank. Though allograft tissue has calcium, it does not contain bone growing cells or proteins and this means that there may be a slightly lower chances of success. However, studies have not shown this to be significant. There is a small risk of disease transmission with allografts. While this risk is quite low due to the vigorous testing of donated tissue, the possibility of transmission cannot be ruled out completely. A study conducted by the Centers for Disease Control showed that autografts have less than one percent infection rates while allografts were found to have an infection rate of 2-4 percent. autograft. Studies have also identified that allografts tend to have a higher failure rate with ACL reconstruction conducted in young patients. When thinking of going for either the autograft or allograft option, it is important to understand the differences between them. However, studies have shown both produce excellent outcomes and that rejection of allograft is hardly ever seen.